Bayonetta Part #22 - NSIC 04: For the Umbra! Part 22: NSIC 04: For the Umbra! Made by Matryona, a witch from the principality of Moscow, this brace allows the user to call upon the strength of the demon to which they are contracted, and divide themselves into multiple beings. 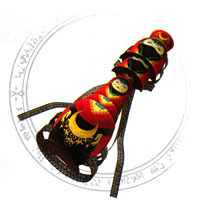 By using this treasured item, Matryona was able to face several foes at once during battle. 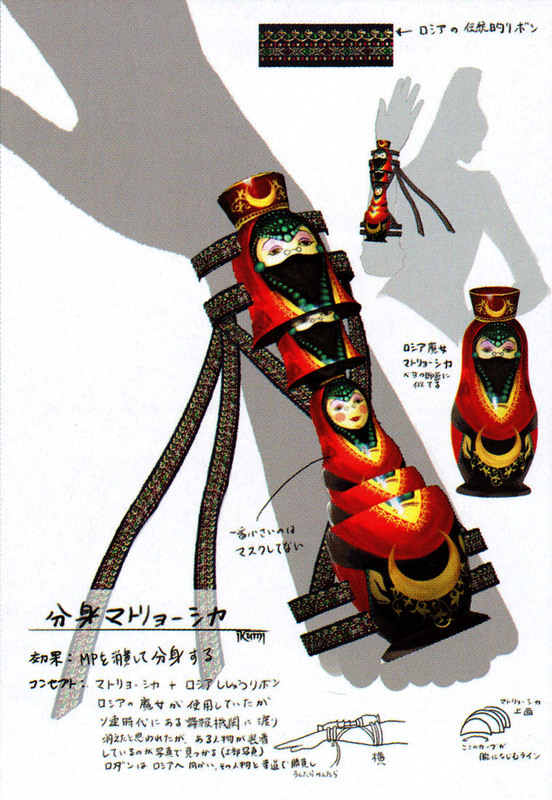 Her exploits have recently come back into vogue, leading her to become the model for the Russian Matryoshka folk dolls.